Expertly extracted, Super concentrated Bala ALCOHOL-FREE liquid extract! 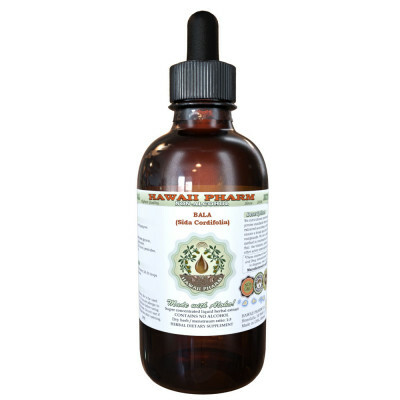 Bala tincture contains ONLY natural ingredients! Alcohol Free! Gluten Free! Non-GMO! High Quality Bala NON-Alcohol liquid extract- crude extract of first extraction! We meticulously produce our extracts according to precise standards where each herb is extracted according to the distinct characteristic of each plant! 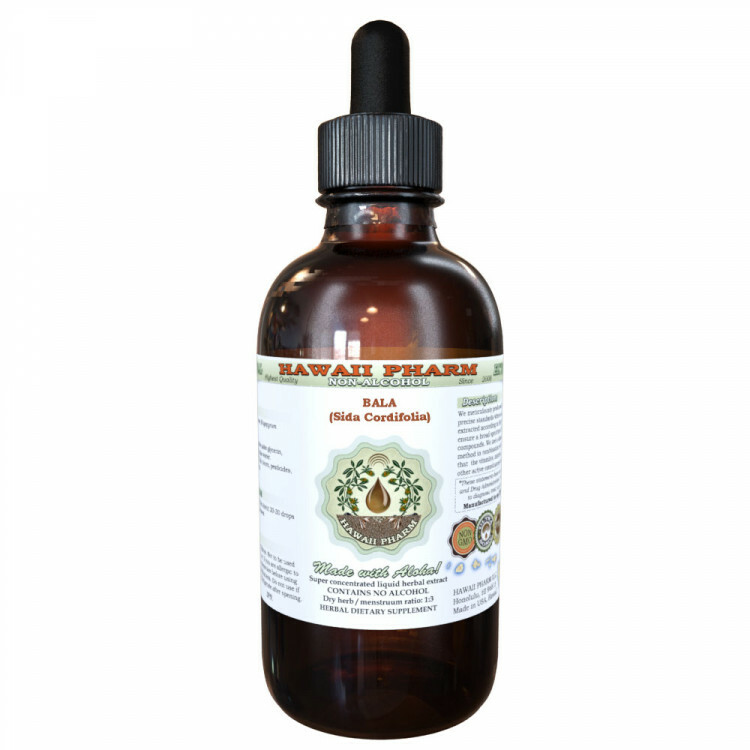 Super concentrated Bala Glycerin based liquid extract: dry material / menstruum ratio 1:3! We strictly use only or ethically sourced wild harvested material, alcohol, vegetable glycerin and crystal clear water! Really the BEST Bala extract on market! Main Ingredients: Bala (Sida Cordifolia) Dried Leaves and Stems Powder. Origin: USA. Solvents: Other ingredients: vegetable palm glycerin, crystal clear water. Additional information about ingredients: Contains NO sugar, yeast, mold, corn, salt, wheat, soy, artificial color, dairy foods, preservatives or synthetic pesticides or fertilizers. Safety information: Keep out of the reach of Children. Not to be used during pregnancy. Consult a physician before using if nursing or taking any medications. Do not use if you are allergic to any ingredients. Do not use if seal is broken or missing. Store in a cool dry place. Suggested use and dosage: Shake well before use. 5-10 drops, three times a day or as directed by your practitioner. The best way to use liquid herbal glycerites is to put the suggested amount in a glass of water, tea, or juice and drink the entire contents. Glycerites can also be administered directly into the mouth without the assistance of water however some glycerites are unpalatable which is why most people prefer to dilute them into a beverage. Please note: 32 oz jars may contain some plant material inside. very quick service. i'm very satisfied. Will use again. I have ordered several times from this seller. The product is excellent and usually received early. I will continue to order from them. it was packed very good, arrived fast. Thank you! Product was delivered on time and as advertised. Very good product. Better than alcohol based. Don't buy if you think this will make you high. It is more like galba calm than anything I can think of, but it does get you to sleep quickly. Great product and fast service . item got damaged but seller replace it with no problem. Everything has been great so far. I will post more after I use it a few times. Great product. This is the second bottle that I've bought. Great so product so far. I will reorder. I use Star Anise for several different purposes. 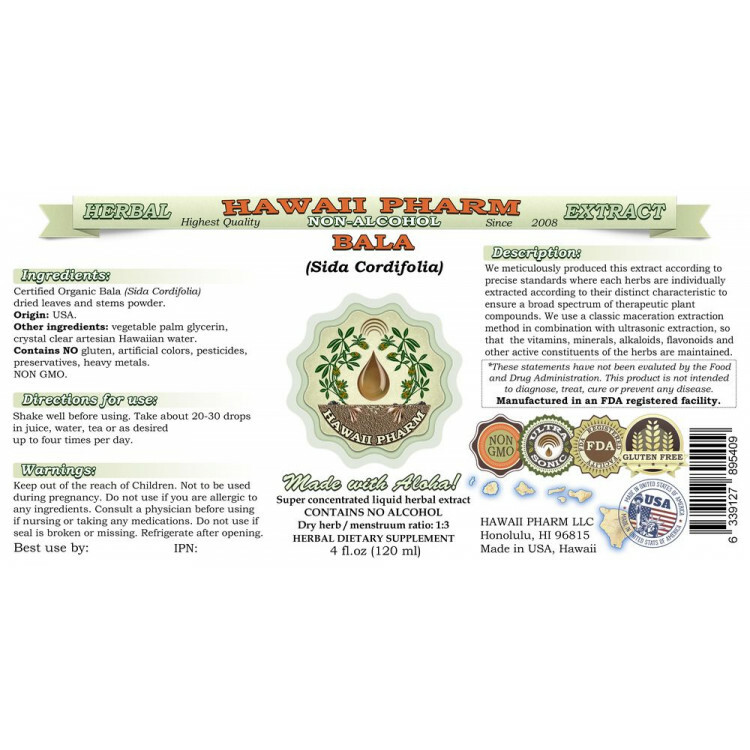 The clarity, strength, and potency of the Hawaii Pharm is unparalleled. The seller packaged the product with care and it arrived on time. Who could ask for more? Arrived early,very well packed,looks good ! ! ! Prompt delivery & product arrived early. It has aided me to sleep much better helped with my digestive system (very soothing). Fast delivery - 5 days from the order date. Item arrived in excellent condition, sealed, carefully packaged. Excellent product. Packed very well. Diagnosed with COPD. I used for first time along with other herbs and other natural products prescribed by my doctor, what a difference in my breathing. Not sure the s has helped my legs, but the ingredients are pure, but people say it helps, so why not try it? All is fine! Thank you!